The World Is Ending, Let's Get Married! A relatively young Chinese couple got married earlier this month on the premise that the world was ending and they didn't want to be alone. Twenty six year-old Xiao Ai was effectively alone for most of his adult life. Graduating college, Xiao Ai began working as an engineer specializing in automation. Due to the nature and stress of his work, he didn't have a lot of time to mingle and meet women; instead he spent of most of his free time either working or playing video games. It was only a matter of time that Xiao Ai became what in China is called "an unmarried older youth". Chinese society places a lot of pressure on youth to get married and start families. A little over the October national holiday and "golden week", Xiao Ai was at home playing the Chinese online game God of War (惊天战神). While playing the game, a variation on regular Diablo clones, Xiao Ai met Xiao Fei. Within three days of playing God of War together he decided he wanted to be with this girl. Semi believing the hype that the world was coming to an end on December 23, when love struck, Ai bit the bullet and proposed to Fei. Fei says that she has never met someone who really cared for her, telling the story about how they met in game. "The game just launched and everyone was everywhere," said Fei. "No one would help me out with the tutorial, and then he showed up. He was very kind." Fei said that it reminded her very much of the classic Chinese Kungfu story The Return of the Condor Heroes; it was like she and Ai were playing the main characters of the novel, a young couple who fight together and fall in love. 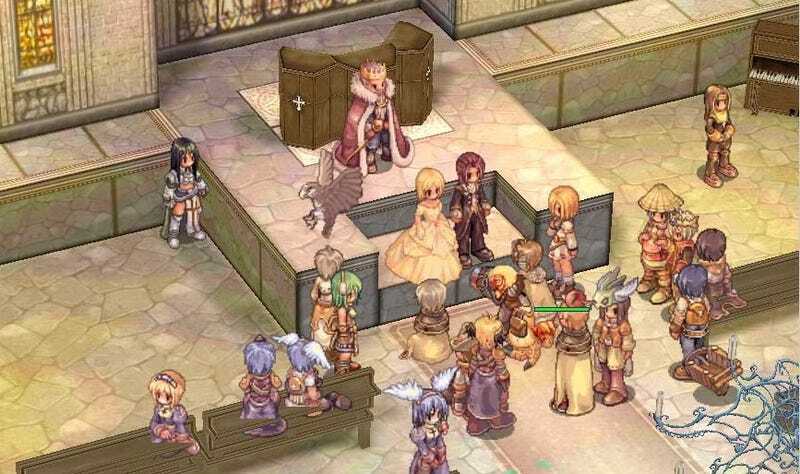 Xiao Ai even used the game to propose to Fei; his very words were, "the world is coming to an end soon, why not get married." Stunned, Fei said she was upset that Xiao Ai proposed like that, but she didn't know why she said yes. After the proposal the two got on the phone, scheduled a meet and then got married. Supposedly the two are still playing God of War.